The international break is over and FC Barcelona return to duty at 4.15pm CET in a home fixture against Deportivo la Coruña. 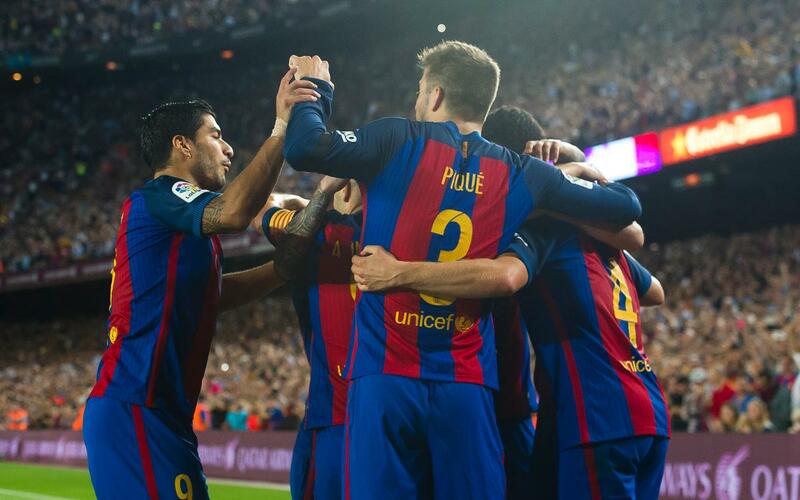 It’s their first Liga appearance since 4-3 defeat at Celta, a result that saw them drop to fourth in the table. But despite that setback, the Blaugrana are only two points adrift of the leaders and a win today will help to put the title challenge right back on track! Barça were hit by what is known locally as the ‘FIFA virus’ when all of Jasper Cillessen, Jordi Alba and Sergi Roberto reported back from World Cup qualifying duty with injuries. On the other side of the coin, instead of playing for their countries, Leo Messi, Samuel Umtiti and Ivan Rakitic remained in Barcelona to receive treatment for their own fitness issues – and all three have made good progress and have been included in the squad. The full eighteen is as follows: Ter Stegen, Masip, Piqué, Rakitic, Sergio, Denis Suárez, Arda Turan, Iniesta, Suárez, Messi, Neymar Jr, Rafinha, Mascherano, Paco Alcácer, Digne, André Gomes, Umtiti and Mathieu. Deportivo are without the injured Juanfran and Joselu Mato, while of the other players dropped from the travelling party perhaps the biggest surprise is the absence of Moroccan international Fayçal Fajr. The Barça coach was also asked about Messi's chances of appearing on Saturday, but “I’ll speak with him and then decide” was all he was able to say on that matter. The Catalans’ league form has been erratic of late. The last five games have brought two massive away wins at Sporting and Leganés, but also defeats to Alavés and Celta and a draw with Atlético. But all the top teams have been dropping points, and Barça are still very much involved in a very tight race. Deportivo have scored fewer goals than anyone else in the league this season, just five. But they also have the third best defensive record. That has made for some very low-scoring matches, in none of which has there been more than one goal in it. All that leaves them mid-table with eight points. The last time these sides met was at Riazor six months ago, and Barça cruised to 8-0 victory, with four goals from Luis Suárez. The season before the Catalans won the same fixture 4-0. That was their first meeting since Deportivo had returned to the top flight, before which the Galicians had only beaten Barça once in the previous seventeen attempts. All of that bodes very well indeed, but the last two Deportivo visits to the Camp Nou tell a very different story. Both those games ended 2-2, so Luis Enrique has every reason to be cautious about a fixture that has twice caused him trouble in the past.